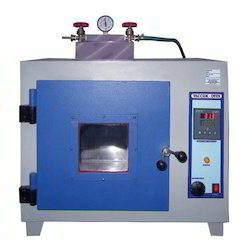 Providing you the best range of thermal stability test apparatus, utm up to 50 kn cable testing equipment and ageing oven cables with effective & timely delivery. 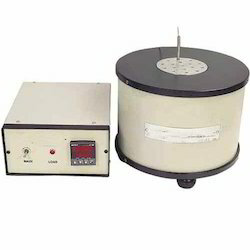 Thermal Stability Test Apparatus is used to measure/ check thermal stability of pvc insulation & sheath of electric cables as per is 5831. Measures thermal stability time in minutes required to change the ph value of 5 to 3 of a universal indicating ph paper placed in a glass tube containing sample and heated in a thermostatically controlled heating chamber at specified temp. Of 200 °c ± 0.5 °c. New model incorporates a specially designed heating block which eliminated use of expensive silicone oil as in a conventional model. Our company are the best known firm for manufacturing, exporting and supplying the high quality of the UTM Up to 50 KN Cable Testing Equipment. 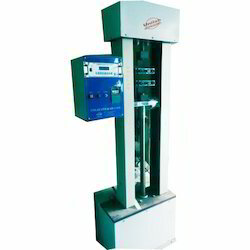 The utm 50 kn is designed to perform tensile tests on heavy wires and also to check strength of joints and side caps. These are provided to our customers as per their customers specifications and requirement. We are offering Ageing Oven Cables which are subjected to many types of physical and chemical changes. The severity of exposures, both in temp & time, determines the extend & type of change that takes place. This test makes an assessment of change in tensile strength and elongation of materials on subjecting them to accelerated ageing in air. These oven designed to provide 8-20 changes of air per hour, at controlled temperature and extended duration up to 72 hours or longer. Hydraulic thermostat for an accuracy better than ±2°c.